100% microfibre polyester, available with or without inner warming polyester vest. Polymesh lining on jacket and trousers. Fleece lining on vest. Full length zipper on jacket and vest, 2 side pockets with zipper on jacket, trousers and vest. Drawcord waistband with stoppers on jacket, zippers on trousers bottom. To have colours chart click here. Tracksuit is available in any combination of colours listed on chart. Tracksuit is available in full sizing range, from baby size 116 till adult XXL. To have sizing chart click here. Tracksuit can be fully customised. Logos and lettering can be printed or embroidered. 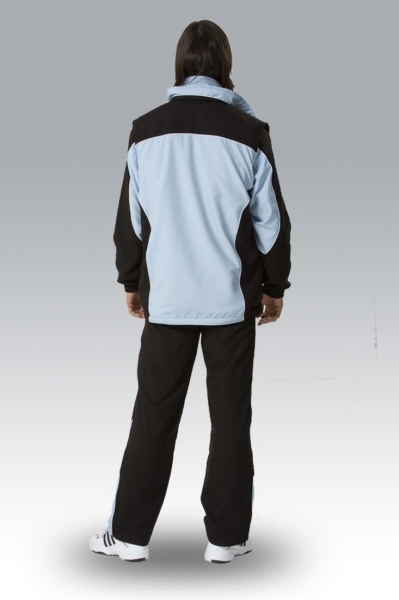 We can put printing or embroidery to virtually any part of tracksuit incl. neck, legs and sleeves. This is possible because tracksuits are made on order and we do most customisation works before all the elements of tracksuit are sewn together. For more details contact us. !! 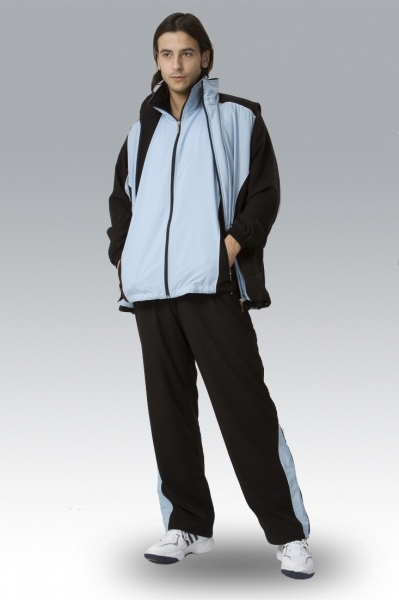 Are you interested in tracksuit in your own design and colours?